As the shift has grown in the past five years from optional to mandatory for businesses to be on social media if they want to reach their audience, there is a new market that has opened up. That market is the social media and online marketing space. 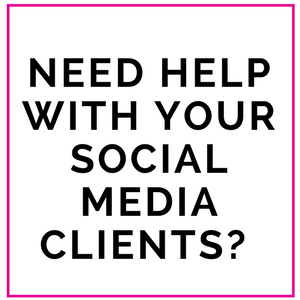 A social media management business can be run from virtually anywhere. There are more and more remote workers becoming social media managers and earning a great living as well. What is great about this business is that it is very cost effective to get started and it is more than likely you already have a lot of the tools to get started. In fact like most online businesses, we are in an age that it is easier than every to create our own success from our . Don’t get carried away though, like any business hard work and dedication are still required to build even digital business. Depending on your state or provinces law a business license from your city will be required to provide services to other businesses. You can purchase a home based business license. Once you have defined your business name you can search if your domain is available for purchase. If you are struggling to come up with a business name you can always buy the domain that matches with your name. In fact creating a brand around your name has proven to be successful for many and allows people to remember who you are. You can purchase your domain through a range of hosting companies such as SiteGround or GoDaddy. Once you have your domain you will need to get a website. Don’t feel overwhelmed. You do not need a ton of infomration on your website to start – Home Page, About, Service and Contact will be the main information that you will start with. First you will need to host your website somewhere in the online space. I recommend building your website through WordPress, just because of the wide use of capabilities of the program, blogging features and more. You can also purchase the hosting of the website through the same platforms that you purchase your domain such as SiteGround and GoDaddy and typically by purchasing a hosting package the domain comes free! 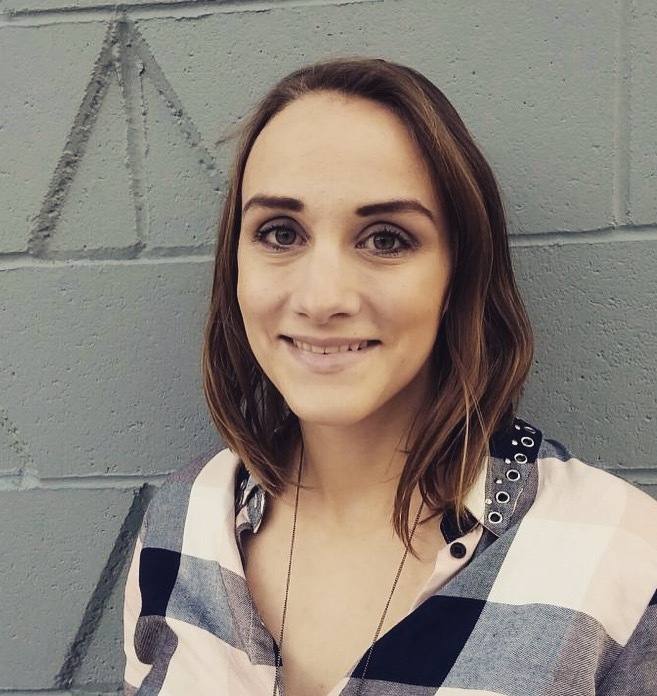 Ideally a professional shoot for a few great head shots that features you in the photo, friendly and professional photo will make your website stand out and attract clients. Can’t afford a professional photographer? Get a friend to help you take some quality photos against a neutral background from your smartphone. Ok this might sound a bit surreal but I am just going to put this here. There are certain applications such as Instagram and SnapChat that you can only access from your phone when it comes to posting and editing. This sounds a little strange right now typing this….but if you do not have a cell phone, your going to need one! 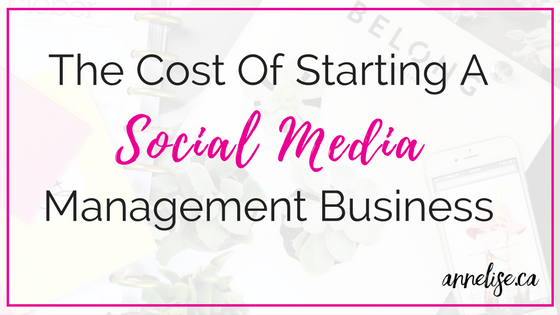 When it comes to social media management, the dream of managing your entire business on your phone just isn’t going to happen. 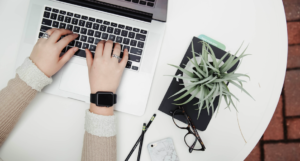 There are analytics, reporting duties, and scheduling that you will definitely want to do from your computer just to make your life easier and create quality results for your cleints. It is also likely that you already have a laptop. If you do not have a laptop, a basic model will be more than sufficient to get started as a social media . Most of the applications that I login to are cloud based and do not require specialized hardware from my computer. Once valuation that has not been take into consideration is time. However, what successful entrepreneur hasn’t given in time to make their business happen? Umm if you need help with this one the answer is….zero. As far as financial commitment, if you have a phone and a laptop already you are looking at $500 or less to kick your business into gear. So when it comes to that hard earned dough, why not skip the takeout meals, a couple spa days or the designer clothing tags. Were not talking years of savings, investments from family or potential investors….its all you baby! Here are some additional tools that can be very useful for your business, but starting out we will start by considering them optional. Invoicing is critical to get paid and there are many tools out there to get the job done. Google Sheets – You can create an invoice for free and manually track all expenses. A couple of tools that are great are Freshbooks & Invoice2Go are two tools that will definitely make your life easier when it comes to managing your cash flow and getting paid on time. They also offer expense managment, time tracking etc. Freshbooks starts by giving you a free 30 day trial and there on the cost is $15 per month for 5 clients and $25 for 50 clients and more added features and their premium accounts goes for $50 a month for 500 clients. Invoice2Go will cost you $27 per years for 50 invoices and 5 clients or $139 per year for unlimited invoice and up to 50 clients and they offer a free 14 day trial. Buffer and Hootsuite have free options for individual accounts. Facebook has a scheduling tool that allows you to schedule within the platform. Tweetdeck is great for scheduling Twitter posts. Buffer – Starting at $10 a month. Planoly – $7 and up a month and also options to add stoppable features for monetizing your account. You can get $10 off here. Sprout Social – Free 30 day trial, and starts at $99 per month. This platform does have some premium features such as social content calendars and advanced analytics. If you plan to do Facebook Live, YouTube, or any other video content an external microphone is going to make . A Lapel Microphone that attaches to your short is both affordable and effectively connects to your smartphone. Want that nice glow on your skin and perfectly lit room when doing video? Maybe you want to spruce up your social media and blog images with a nice background light, then a lighting device is so important. Especially since you can find specialized devices for smart phones and social media on like the Socialite on Amazon. A professional camera will bring your social media images to the next level and allow you to stand out from custom stock images. In addition to great images for your pages, you can also add these photography services to your social media service packages if you have the right skills. Keep in mind, not all of these add ons are necessary for your business, they are just very beneficial as your grow. The time has never been easier than the present to kick a business into gear. 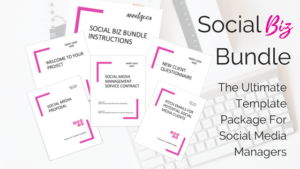 Before you….Have you seen the Social Biz Bundle? 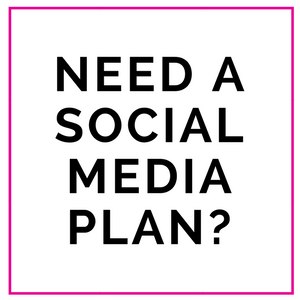 Get The Social Media Biz Bundle – All The Templates You Need as A Social Media Manager. I’ll be bookmarқing and checking back frequently! Awesome thank you so much glad to hear you like the content.